The morals as a phenomenon of public consciousness, manifestation of culture, spiritual life, along with the right and art, are the basis, from “which root grow all the rest”. The main moral values consist generally of unwritten laws of good, norms of morals, traditions and representations of a certain society about legal and unlawful. The moral is characterized by generality, obligation, certainty, emotional depth, deep experiences while the moral consciousness is formed in development logiko-conceptual thinking. The intellectual party in a moral act is under supervision at the estimated and imperative. 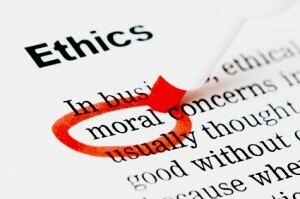 The belief moment as it is impossible to be moral is connected with moral, without belonging to these norms as to something to higher, than the person. If to recognize a moral priority before own “I”, here the moral acts as object of worship that pulls together ethics and religion, however norms of morals aren’t perceived as supernatural, there is enough that these norms were accepted and recognized by the personality as the true. “The moral is the true life of the person reached by means of reflections, the appeal to certain values” Ethical standards have universal value, in difference from religion and science as in religion and science there is a danger of loss by the person of. Serving that is out of wow, the person risks to lose idea of for the sake of what, actually, he created to himself object of worship, that is won’t come nearer to himself, and on the contrary, will move away from himself. Moral norms are directly expressed for the person in his own soul. Socrates determined by one of the first in the European spiritual culture moral as a problem of soul or the internal genius of the person. His life a striking example of discrepancy of that it is accepted to call morals and moral. The neglect to moral standards led it to condemnation on execution, he confirmed the moral including with the relation to a sentence whichin principle was unfair. Socrates considered that the highest justice not in laws or sentences of court, andin respect for them from citizens, and everyone separately. For Socrates the moral is closely connected with truth which is established not by vote and not opinion of the majority, and the appeal of the person to the inner world which is the beginning, objective, of the person. Objective is in the person of that the person is a part of the world. Norms of moral external, in relation to the individual world, but aren’t always objective, that is not always have really universal character. Therefore simple, thoughtless following to these norms moral doesn’t comprise anything. The moral is inconceivable without conscientious attitude to norms of morals, without voluntary recognition by the identity of these norms as personal norms. Before recognizing these norms as personal, the person has to realize himself as the person. Requirements, norms of morals are impersonal, and their thoughtless performance depersonalizes the person. At the same time each person is unique and unique, everyone has the temper. The person has to know the temper, criterion, in compliance with which it is necessary to arrive, exempting himself from conscience torments. Freedom allows the person to estimate moral standards which aren’t always any and casual, and own acts, to be moral, free. Freedom as special separates sources of humanity human from brutal, opening humanity through the right for a sovereign choice something from this that is in the social relations. The moral is execution by the person of as the person, as the human feature, as moral being. The moral person personifies such human qualities as honor, conscience, kindness, justice. The basis of creative character moral develops of a frontage to itself and external instructions, that is in the course of uninterrupted dialogue between external instructions and internal motives of the person. The moral is universal also this its peculiar feature. Universality of moral is expressed that it penetrates all other phenomena of human life as any phenomenon of human life taken in itself, without moral aspect, as a result loses also aspect of humanity. It is impossible to be “a little moral”, or “a little conscientious” or it is impossible to be honest for one and disgraceful for others, thus to be admissible “a little bit the scientist” or “a little bit the believer”, or “a little bit the politician”. The moral is universal as the writer Fazil Iskander truly noticed, “The moral sense or is universal or it isn’t present”. It is impossible to force the person to be moral though it is possible to force to execute him certain norms of morals. This entry was posted in Ethical and tagged moral, morals on 26/09/2017 by Mary.